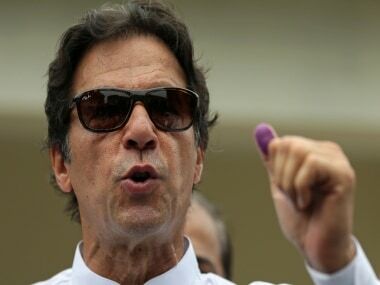 Islamabad: Pakistan's newly-elected Parliament is meeting on Monday for the first time to start the process of transition and handing over powers to the new government. President Mamnoon Hussain has already summoned the maiden session of National Assembly, the lower house, at 10 am in Parliament House. According to law, the speaker of the previous Assembly, Ayaz Sadiq, will administer the oath to the new lawmakers, followed by election of the speaker and the deputy speaker. After the election of the new speaker, the outgoing speaker will give him the oath and hand over charge of the new house. 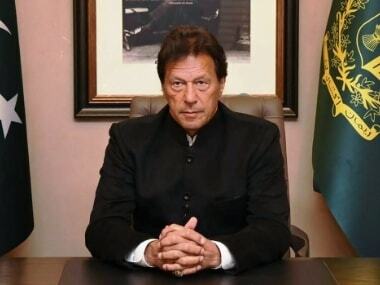 Prime Minister-in-waiting Imran Khan's Pakistan Tehreek-e-Insaf (PTI) emerged as the single largest party with 116 seats in the 25 July election. Its tally increased to 125 after nine independent members joined it. The final tally of the PTI has reached 158 after it was allowed 28 out of 60 seats reserved for women. 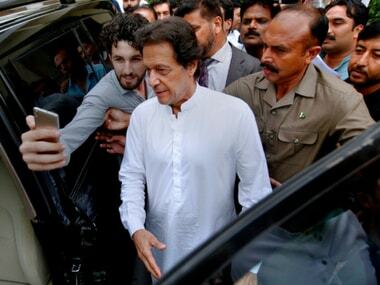 PTI spokesman Fawad Chaudhry said the party has already nominated Khan as Prime Minister and Asad Qaisar as speaker. It has not announced the candidate for deputy speaker so far. Party sources said the cabinet list has not been finalised but there is general consensus that Shah Mahmood Qureshi will be the new foreign minister and Pervez Khattak as interior minister. Asad Umar is expected to get the key post of finance minister and Khan is also expected to appoint prominent businessman Abdul Razzak Dawood as advisor on finance. Dawood served in the cabinet of former military dictator Pervez Musharraf. Chaudhry said that PTI has decided to invite Pakistan Muslim League-Nawaz (PML-N) chief Shehbaz Sharif and Pakistan Peoples Party (PPP) chairman Bilawal Bhutto Zardari for Khan's oath taking ceremony as Prime Minister. It is not clear if they will attend the ceremony scheduled to take place on 18 August in the President House. There are reports that President Hussain has cancelled his three-day trip to Ireland to administer the oath to the new prime minister. Meanwhile, leaders of PML-N and PPP have met in Lahore to decide their strategy for the first session. The two parties have decided to field joint candidates for posts of speaker, deputy speaker and prime minister. The PML-N has a final tally of 82 seats after the addition of 18 reserved seats including 16 for women and two for non-Muslims and PPP has 53 with addition of 11 reserved seats, nine for women and two for non-Muslims. The Muttahida Majlis-e-Amal (MMA) now has 15 seats after the addition of three reserved seats, two for women and one for non- Muslim. The combined strength of the major Opposition parties will be at least 150. The actual strength of PTI will be reduced to 152 because Khan won on five seats but will have to vacate four seats before taking the oath. Two other PTI leaders won on two seats each and will vacate the additional seats. This means that the total strength of the house will be reduced from 342 to 336 after the seats are vacated. As PTI ally Pervez Elahi of Pakistan Muslim League will also vacate his two National Assembly seats after deciding to sit in the Punjab Assembly, while elections were not held on two seats and result of one seat has been delayed due to litigation, the final strength of the house will further come down to 331. Hence, a winning candidate will need support of 166 lawmakers instead of 172. It means PTI still needs support of 14 members of smaller parties and joint Opposition needs 16. On paper, the PTI is expected to carry the day by a thin margin due to open support of several small parties but still a tough competition is expected for the top posts of speaker and prime minister. 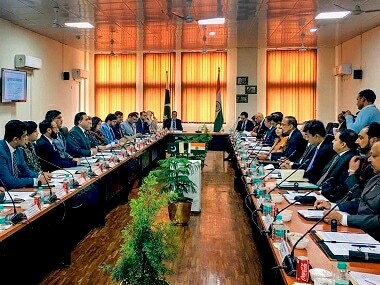 These parties include Muttahida Quami Movement (MQM) with seven seats, Balochistan Awami Party (BAP) with five, Balochistan National Party (BNP) with four, Pakistan Muslim League (PML) with three, Grand Democratic Alliance (GDA) with three, and Awami Muslim League and Jamori Watan Party have one each. As far as provincial Assemblies are concerned, PTI is leading in Punjab with 179 seats in the house of 371 but it has not so far announced its chief ministerial candidate. Reportedly, several leaders are in the running for the coveted seat, which is second only to the premier in importance.